1 HP Planet Partners Program availability varies. For more information, visit http://www.hp.com/recycle. 2 Program features and availability may vary by country. For more information, visit http://www.hp.com/learn/suresupply. 3 Approximate average yield based on ISO/IEC 19752. Actual yield varies considerably based on content of printed pages and other factors. For details see http://www.hp.com/go/learnaboutsupplies. 4 Approximate average yield based on ISO/IEC 19752. Actual yield varies considerably based on content of printed pages and other factors. For details see http://www.hp.com/go/learnaboutsupplies. 1 HP Planet Partners Program availability varies. For more information, visit http://www.hp.com/recycle. 2 Program features and availability may vary by country. For more information, visit http://www.hp.com/learn/suresupply. 3 Approximate average yield based on ISO/IEC 19752. Actual yield varies considerably based on content of printed pages and other factors. For details see http://www.hp.com/go/learnaboutsupplies. 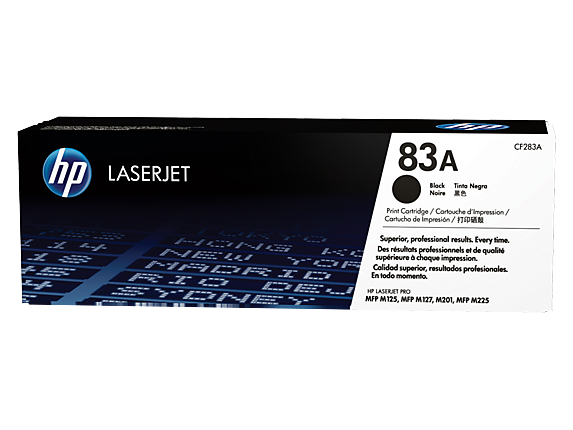 4 Based on cartridge yields for HP 83A compared with HP 83X Original HP toner cartridges. 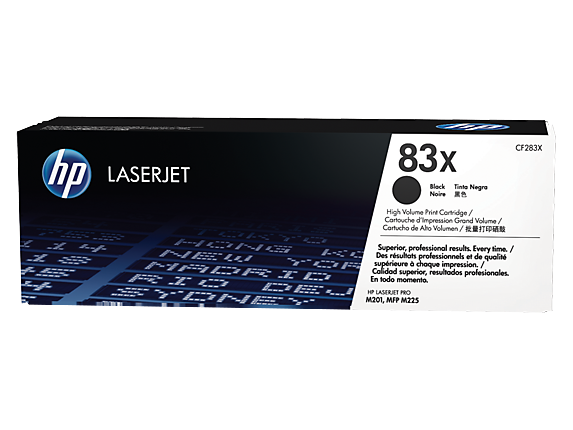 For more information, see http://www.hp.com/go/learnaboutsupplies. 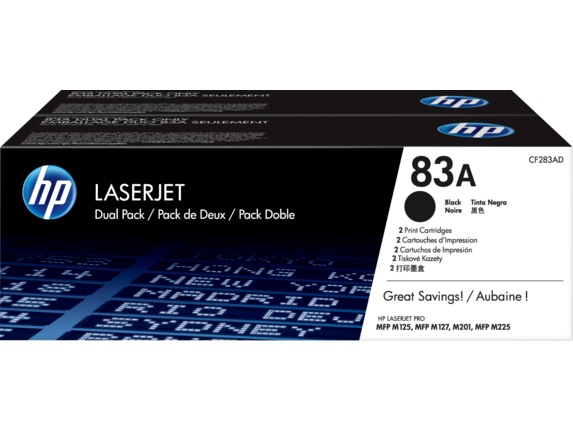 5 Based on cartridge yields for HP 83A compared with HP 83X Original HP toner cartridges. For more information, see http://www.hp.com/go/learnaboutsupplies.